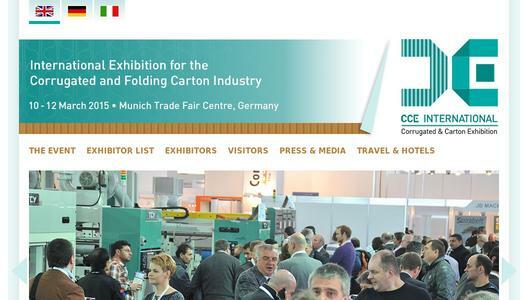 CCE International, the only trade fair in Europe specifically targeted at the corrugated and folding carton industry, will open its doors again from 10-12 March 2015 at the Munich Trade Fair Centre in Germany. After the huge success of the launch event in March last year, the industry sector looks forward to CCE International 2015. “We are receiving a large number of exhibitor enquiries for the 2015 event; almost all of the total stand space of the previous event has already been reserved. For the forthcoming event we are therefore expecting a considerable increase in exhibition space,” says Nicola Hamann, Exhibition Director CCE International, on behalf of the organisers, Mack Brooks Exhibitions. With a total of 110 exhibitors on a net exhibition space of 3,300 m2 and more than 2,000 visitors from all over the world, the launch of CCE International in 2013 was a complete success. The event is designed to offer suppliers and manufacturers of raw materials, machines, equipment and services for the production and conversion of corrugated and cartonboard a targeted platform in Europe to showcase their products and systems to corrugated and folding carton converters as well as packaging designers and specifiers. The new exhibitor brochure for CCE International 2015 is now available. The brochure includes key information for companies interested in exhibiting at CCE International 2015 such as facts and figures about the show, exhibitor and visitor profiles as well as the exhibitor list from 2013. The brochure is available in English, German and Italian. The show organisers have also re-launched the exhibition website. The new design provides users with a fresh look and feel, as well as ease of navigation on all devices and browsers with dynamic features. 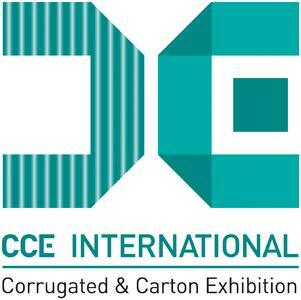 www.cce-international.com offers detailed information for companies interested in exhibiting, as well as figures, facts, photos and a video about Europe’s only targeted exhibition for the corrugated and folding carton industry. The exhibition profile of CCE International covers raw materials, corrugated equipment, corrugated converting equipment, folding carton converting equipment, printing equipment, pre-production and pre-press, materials handling and warehousing, waste extraction and baling as well as machine and plant controls. Visitors to the exhibition include trade professionals of corrugated board plants and sheet plants, corrugated sheet feeders, folding carton converters, packaging designers and specifiers, rigid carton manufacturers, honeycomb board manufacturers, core board and core tube manufacturers and trade agencies. CCE International also attracts a variety of production specialists across industry sectors such as food and beverage, furniture, pharmaceutical, transport and logistics, cosmetics and tobacco. CCE International 2015 will once again be co-located with ICE Europe 2015, the world’s leading trade exhibition for the conversion of flexible, web-based materials, such as paper, film, foil and nonwovens. Exhibitors showcase machines, accessories and systems for coating, laminating, drying and curing, treatment and finishing, slitting and rewinding as well as flexographic and rotogravure printing. Both exhibitions can be accessed via the East Entrance of the Munich Trade Fair Centre. 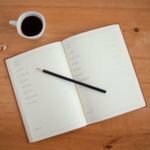 While each event has its individual core audience, they also attract a large number of visitors such as packaging designers who are interested in both exhibitions. 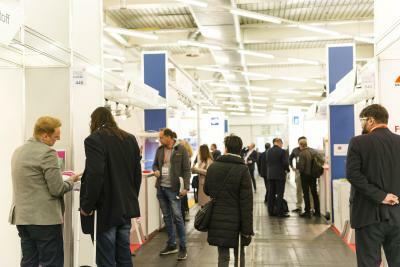 According to the exhibition survey, the co-location of CCE International with ICE Europe was well-received by CCE International exhibitors and visitors alike. The Munich Trade Fair Centre is internationally renowned as a venue for professional industry exhibitions. With its modern exhibition halls, easy access and excellent infrastructure it offers the best possible facilities for showcasing products and services as well as live machine demonstrations. CCE International 2015 will be held in hall B6 this time. “Feedback from the exhibitors at the first CCE International was extremely positive. 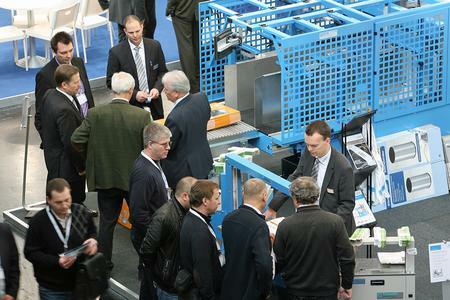 Machinery manufacturers as well as suppliers of raw material, services and ancillaries were excited about finally having a marketplace of their own and many exhibitors told us that the results of the launch event had exceeded all their expectations. Exhibitors were particularly impressed with the highly specialised international trade audience who attended the show,” explains Nicola Hamann. The exhibition survey from the previous event showed that 80% of exhibitors rated the quality of visitors as good or excellent. Of the visitors, 89% said that they made or influenced purchase decisions. A total of 96% of exhibitors said that they had received positive business enquiries at their stands. A key feature of CCE International 2013 was the remarkably high international attendance, where both exhibitors and visitors were concerned. Almost 70% of the visitors and 80% of the exhibitors were from outside Germany. Major exhibitor countries were Italy, Germany, Great Britain, the USA, the Netherlands and France. As for the visitors, Germany was the biggest visitor country, followed by Italy, Great Britain, Spain, Russia, Poland, Turkey, France, Austria, Switzerland and the Netherlands. The visitor survey showed that the majority of visitors came from corrugated board plants and sheet plants. 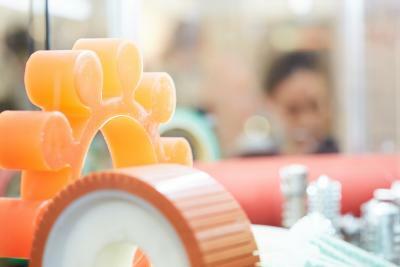 Others were folding carton converters, packaging designers, corrugated sheet feeders and rigid carton manufacturers.